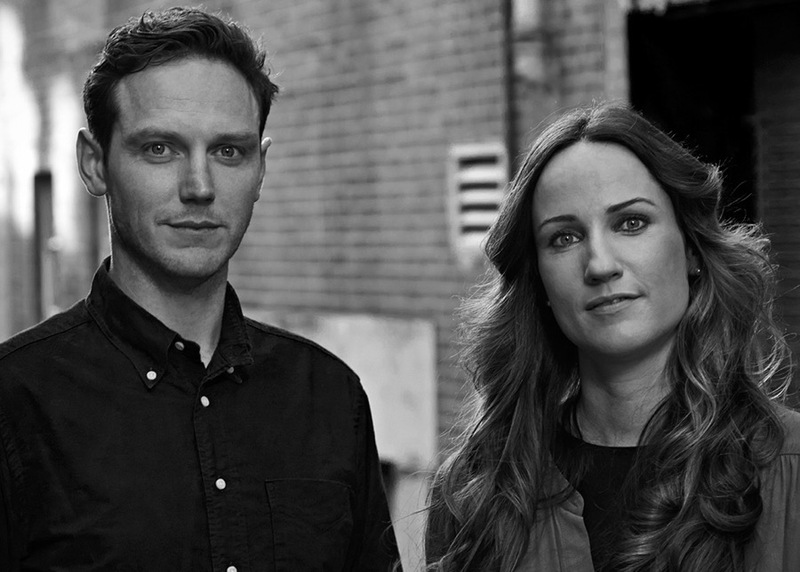 At KE-ZU we have not only our clients’ best interests at heart, but also our planet’s, and our commitment to authentic and innovative design is equally matched by our commitment to ensuring furniture and packaging has been designed and manufactured in accordance with environmental best practice. 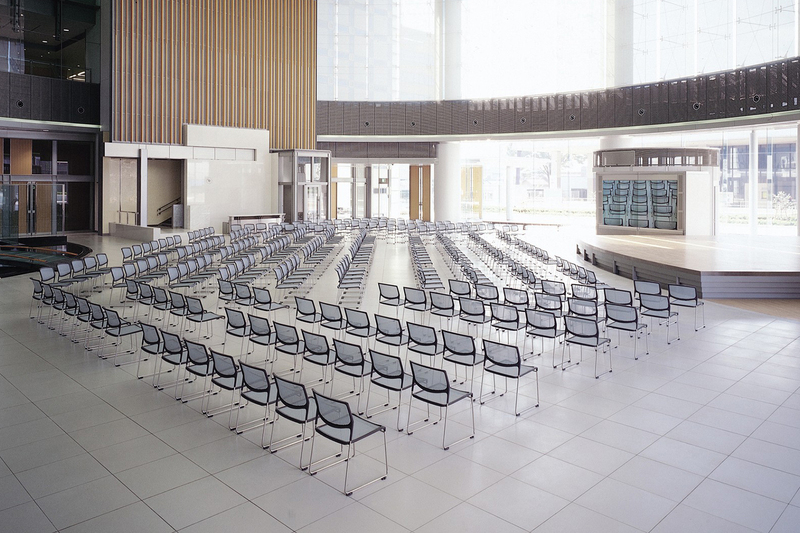 With all of our manufacturers certified to the International Quality Systems and Management ISO9001 standard and Environmental Management ISO14001 standard, we are proud to stock sustainable seating and lighting solutions from some of the best furniture brands in the world. 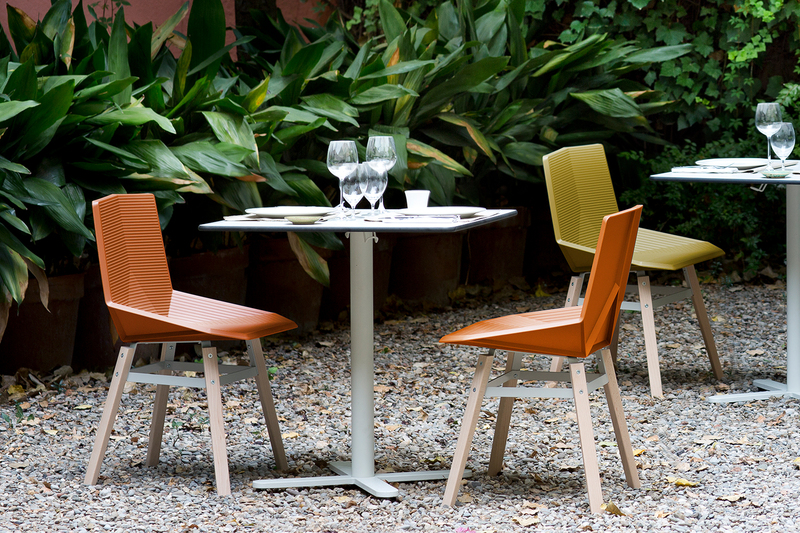 The Green Chair from M114 is an affordable, eco-friendly and durable chair for a variety of public spaces. Designed by Javier Mariscal, the aptly named Green Chair has an emphasis on ergonomics with a highly structured, geometric seat that increases the strength and comfort of the chair. 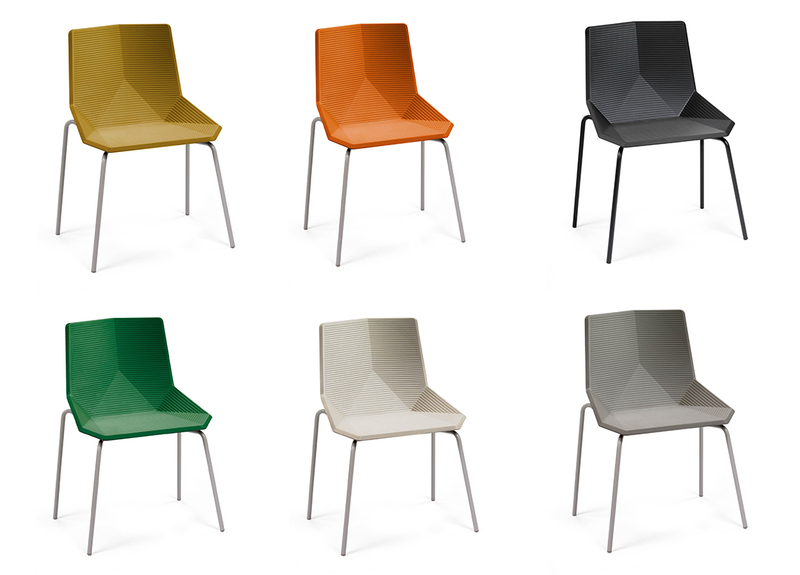 Its lightweight and flexible shell is manufactured from 100 per cent recycled polypropylene derived from industrial waste and is available in six colour variations. The Green Chair is easily dismantled and the metal version is stackable and suitable for outdoor use. Japanese brand axona AICHI prides itself on designing and manufacturing high-end contract furniture that’s ultra friendly to the planet. 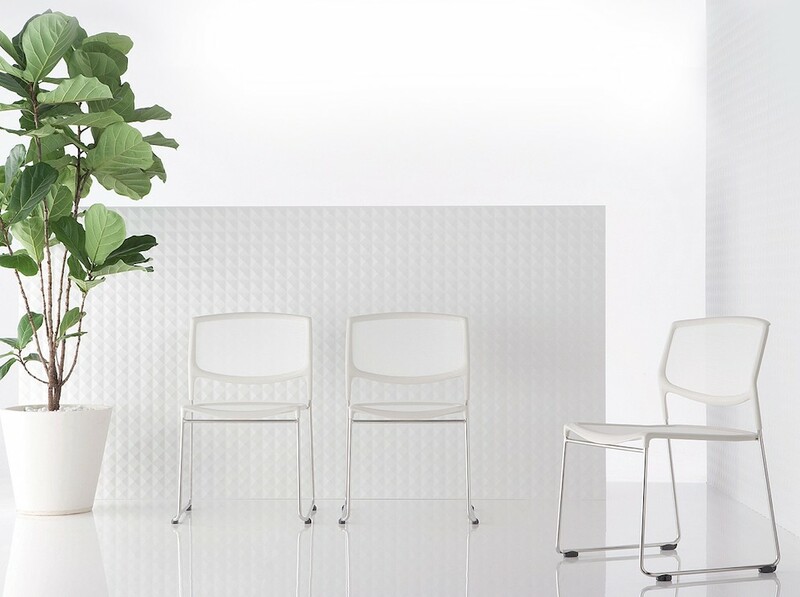 Its Tipo chair is an exemplary example of elegant eco-friendly design, winning a Red Dot Design Award in 2011, Green Good Design Award in 2014, and its designer Taku Kamazawa being awarded the AIT Innovation Award at Orgatec 2012. 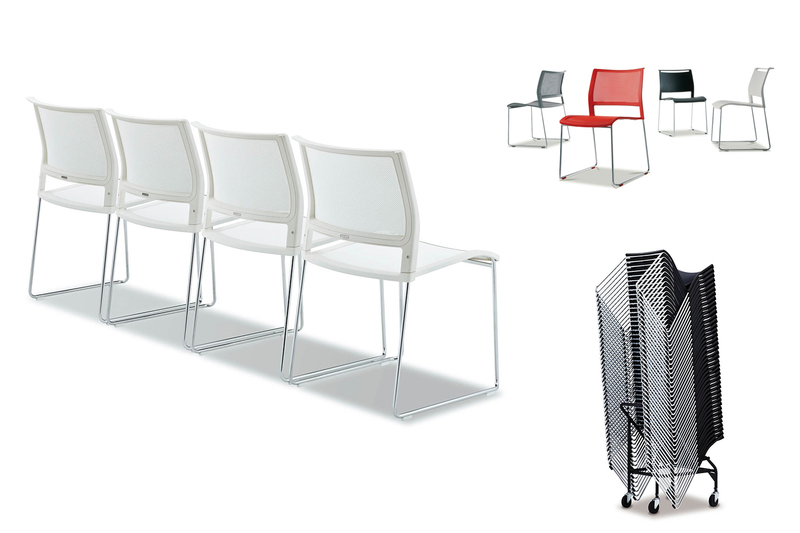 The Tipo chair is manufactured from 100 per cent recycled and recyclable materials, including waste containers, car parts and PET bottles, and the result is lightweight and comfortable, and has been GECA certified. Products certified by GECA (Good Environmental Choice Australia) have been rigorously assessed and their impact over their life cycle has been deemed safe for both the environment and people’s health. KE-ZU is proud to supply nearly 300 GECA-certified furniture pieces from brands such as AICHI, Andreu World, Enea, Proyec and Sancal. 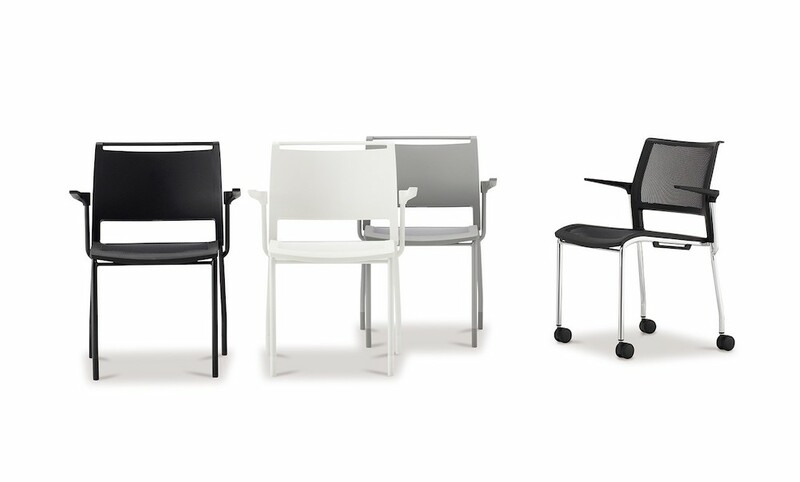 AICHI’s Tipo chair comes with a range of frame options, including a sled base, four legs or castors. Chairs have the option of writing table or wing arms, and a 40 high stacking stool is also available. Its portability also makes it a functional and convenient choice for meeting, conference and training rooms. AICHI’s Daylight chair is another stacking chair that’s eco-friendly and constructed from recycled and recyclable material. It has a mesh seat and back that conforms to the body, prevents pressure points from forming and provides a cool, comfortable experience, and its clean and contemporary design works in a variety of high-density and multi-purpose settings. The chair weighs only 3.8 kilograms and it can be stacked 40 units high and transported on its dolly. To complement our sustainable seating solutions, lighting company LZF has a collection of stunning lamps that are composed of FSC certified wood and handcrafted in its factory on the outskirts of Valencia. LZF’s high-quality veneers are made from tulipwood and sourced from FSC forests in the eastern United States. 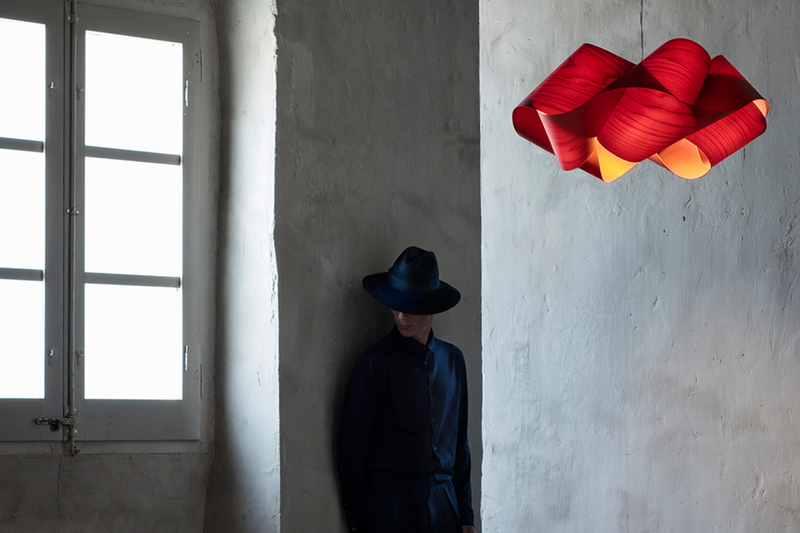 And proving LZF doesn’t sacrifice style for sustainability, but rather delivers both with expertise, it has picked up two new awards – the latest in a long list of accolades – at the prestigious German Design Award 2017. 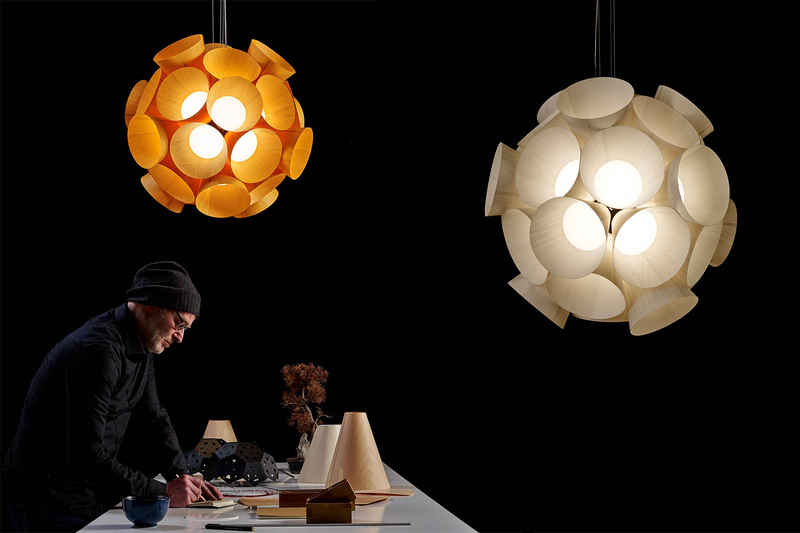 The Dandelion pendant by Burkhard Dämmer won the German Design Award and the Swirl by Ray Power was accorded a Special Mention. You’ll find these sustainable furniture and lighting products plus more available from KE-ZU so please drop in to our showroom to take a look – and a seat – or visit www.kezu.com.au to search our full collection.